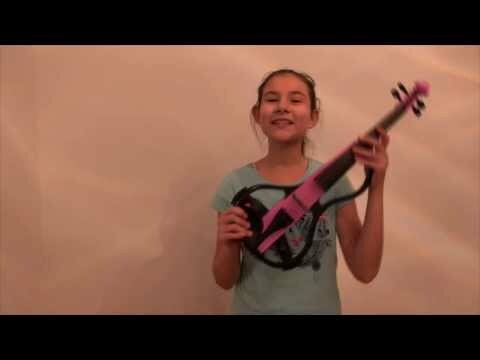 The Phoenix PerformerTM violin is made for Performers! Its outline is elegant as well as user-friendly. It is easy to get a good sound out of it. In addition, it is custom designed so that conventional shoulder rests can easily be ﻿fitted ﻿to the Phoenix Performer violin. The pickup produces a strong volume with a clear, silky sound. It comes in 5 different colours to match the violin player's personality. For many violin players, the Phoenix Performer Violin is their favorite choice as it has a great sound, and because it is well set up by professionals. It comes with a high quality durable and protective fiber glass case and a really good Phoenix Performer carbon fiber bow. Phoenix Performer series of electric string instruments and accessories for the electric string instrument enthusiast! The standard strings that come with the Phoenix Performer violin are chrome-steel strings with a plain steel e-string. We have found that these strings do a good job. 'Upgraded' strings such as Dominant strings are less user-friendly as they require a more frequent tuning due to the more delicate materials used, such as the perlon core and the aluminium and silver winding. Of course, Dominant strings can be used or any other violin string. We could send a complimentary set of Maestro Strings if desired. They have the same materials as Dominant, but we find them to be warmer with a slightly lighter gauge. Depending on the batch, pegs are made of ebony or hardwood that look like ebony. The latest batches are all fitted with real ebony pegs. The tailpiece is a carbon-fiber tail piece, not a cheap aluminium tail piece. The pickup is custom-made. It has similar features as other pick-ups with a pre-amp.